Authorities told residents of the Florida de Alicante university accommodation, which reportedly costs students 750 euros rent per month, that the property had been chosen by Valencia’s regional government to house around 100 so-called unaccompanied minors who the NGO boat delivered in Spain at the weekend. 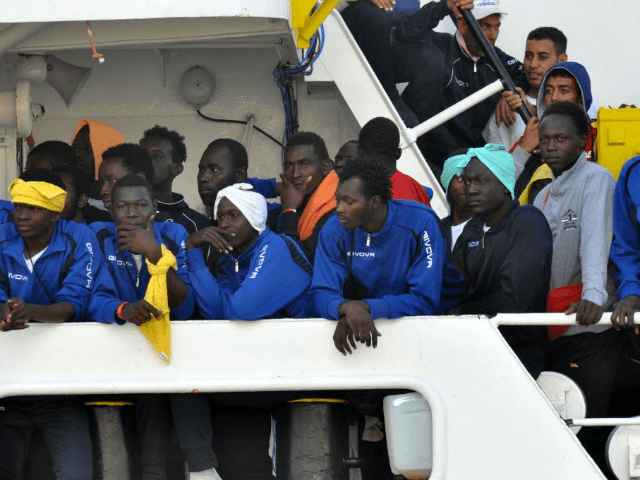 The country’s new Socialist regime went out of its way to invite the Aquarius to dock in Valencia after Italy’s recently elected populist coalition turned away the boat carrying more than 600 migrants, who largely hail from West African nations and Bangladesh. The short eviction notice was issued at a time when a large proportion of residents living in the property’s en suite dormitories face an “intensive” period of study, according to local media. Reports of the move were treated as false information at first, said news portal Intereconomia, until the regional government in Valencia confirmed it was evicting the students “as a measure of emergency”. The mother of one of the students, whose son needs to complete his German course in order to be able to take up a job offer, said that the eviction has thrown his studies into chaos. “My son finishes his course in November, but he and other students have been told their [accommodation] will be used to house Aquarius migrants and that they cannot be there because they [the migrants] come with many diseases, it’s for a health issue,” she said. Expressing doubt over the authorities’ claim that every student must vacate the building due to the risk of catching disease from newcomers, the woman questioned why local government would choose to house migrants “in the centre of Alicante, just as large numbers of people are about to be celebrating San Juan festivities”, if there was a public health issue. On Tuesday, Breitbart London reported that police in Alicante arrested a Moroccan migrant on suspicion of committing a series of sexual assaults in the city, where he is accused of following children under 18 and attacking as they entered their homes.